Sometimes, it may be more suitable to use a font with a less clean effect instead of a “normal” type; but then again, pure handwriting might not do the job either. ABSOLUT “Sketch” is designed for these cases. It has the exact same spacing as its “mother,” the same forms and proportions, so that at first glance “Sketch” nearly looks identical. Only, it’s handwritten with a pen, and so it presents a kind of sloppy, shaky line. But its curved ends and the soft line give it a more human impression. All stylistic alternates, ligatures, variant forms of figures, etc. 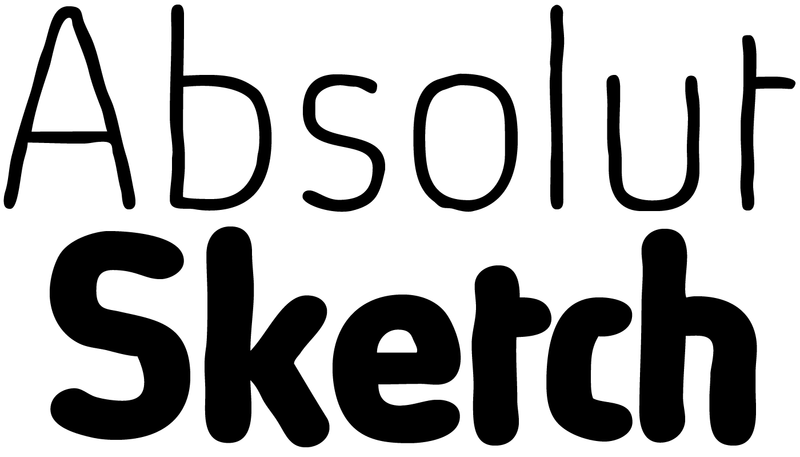 of the original font are also included in Absolut Sketch. 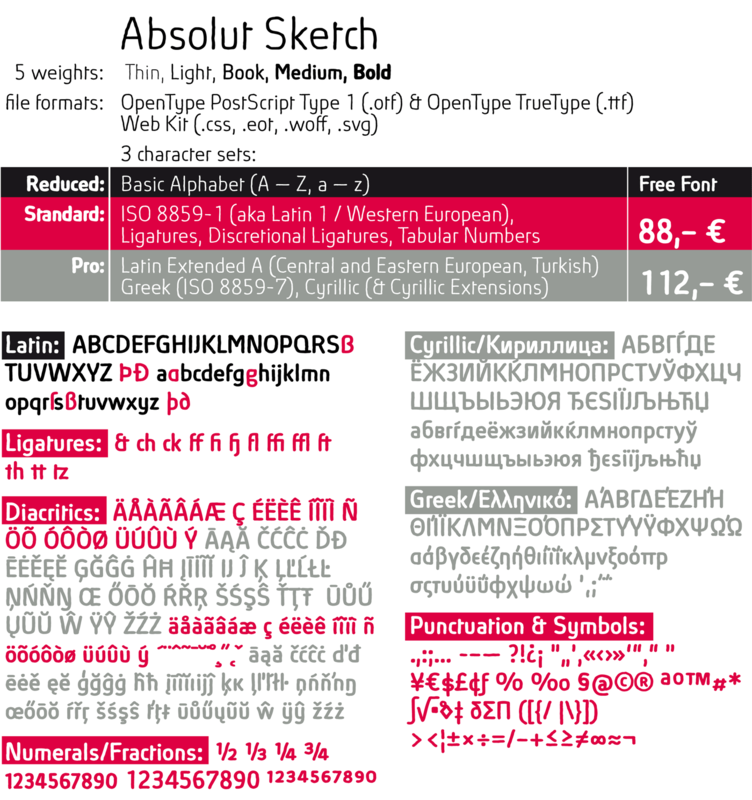 And just like the “real” Absolut, Absolut Sketch in the Pro-Version supports all European languages including the Greek and Cyrillic alphabets. If you need more than one license, just ask  we offer quantity discounts.